“What the Buddha Taught and Why It Matters Today,” by Ven. Thubten Chonyi, an ordained Buddhist nun. South Carolina Dharma Group, held at Seibels House, 1601 Richland St., Columbia, SC 29201. For more info: scdharma@gmail.com. Baha’i Center, 2020 Assembly Street, Columbia, SC 29201. For more info: 803-798-7116. Shandon United Methodist Church, SUMC–Player Hall, 3407 Devine St, Columbia, SC 29205. For more info: 803-256-8383. 1401 Washington St, Columbia, SC 29201. For more info: 803-254-8405. 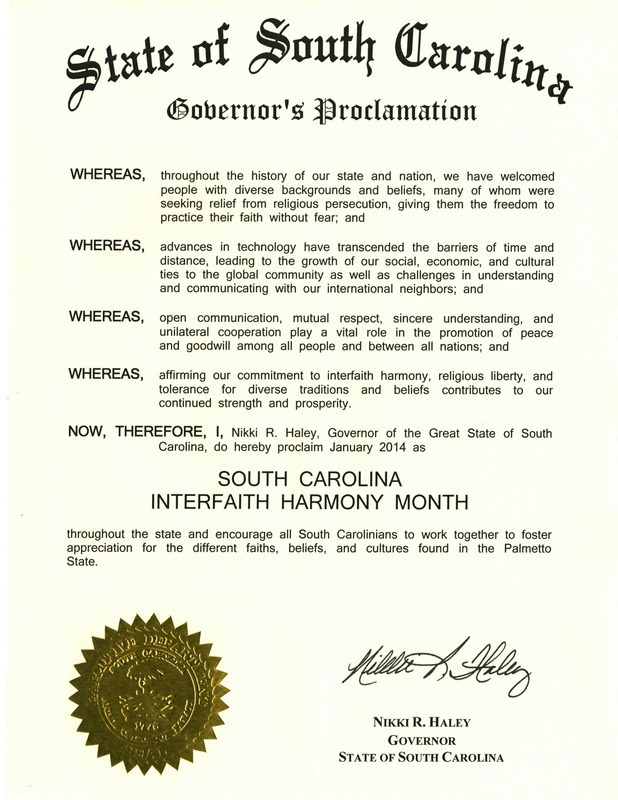 SC SGI-USA Buddhist Community Center, 228 O’Neil Ct., Columbia, SC 29223. For more info: 803-419-4551. Sikh Religious Society of SC, 11419 Broad River Road, Chapin, SC 29036. For more info: 917-415-0464. “Women in Religion” Open forum with presentations from different faiths.